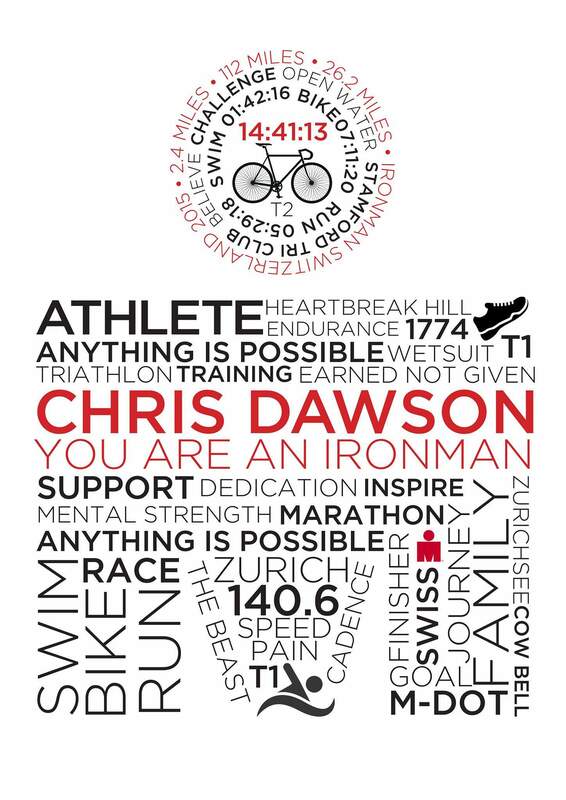 These Outlaw Triathlon typographic posters, designed by Andrianna Curtis, are far too cool to be kept to a FaceBook Group page, which is where I found them. 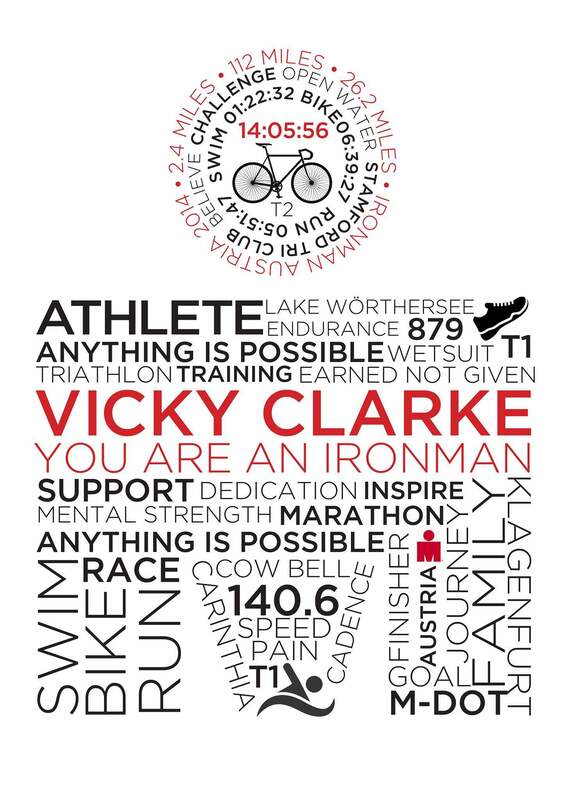 Admittedly, it’s a bit of a specialised area, not everyone would have heard of the Outlaw Triathlon brand (full IronMan distance triathlon: 2.4m Swim, 112m Bike and 26.2 Run), but when I saw Adrianna’s post up on the Outlaw FaceBook Group Page showing these beautiful personalised typographic posters, I just had to share. Adrianna personalises each one with the Outlaw’s competitors name, using the format of the Outlaw logo. Many triathletes who compete in the ‘original’ IronMan races will actually get a tattoo of the IronMan brand logo (M dot), as a permanent reminder of the gruelling effort and numerous sacrifices they’ve had to endure. Not all of them very tastefully done, it has to be said. 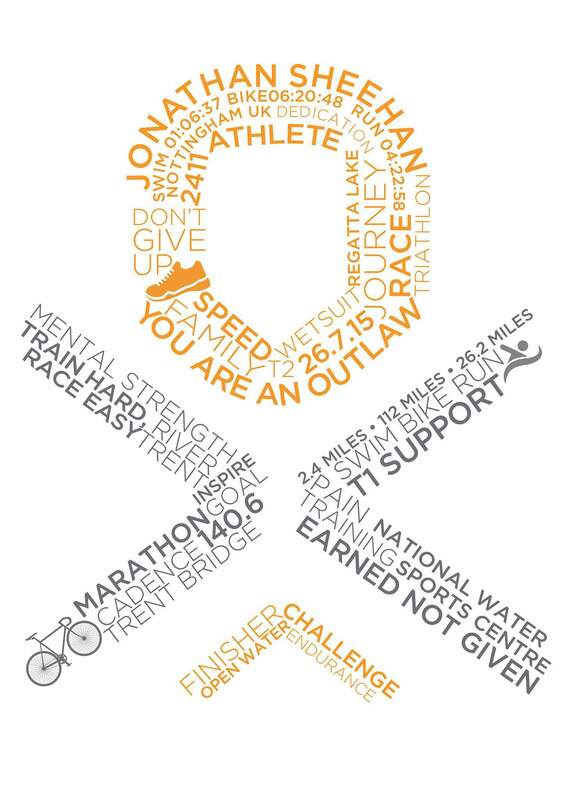 Anywho, If I’d done the Outlaw, and I know 2 people from the Brighton Tri Club (that I’m a member of), that did do it, I’d certainly hire Adrianna to do one of these for me.